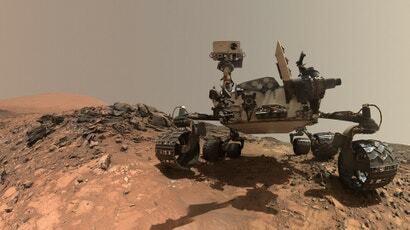 NASA’s Curiosity rover shook the science community six years ago when it apparently detected traces of methane — an important chemical linked to lif e— on Mars. 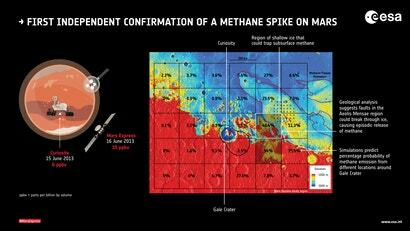 Researchers failed to confirm these results in the years that followed, but that’s now changed thanks to a re-analysis of data collected from orbit. 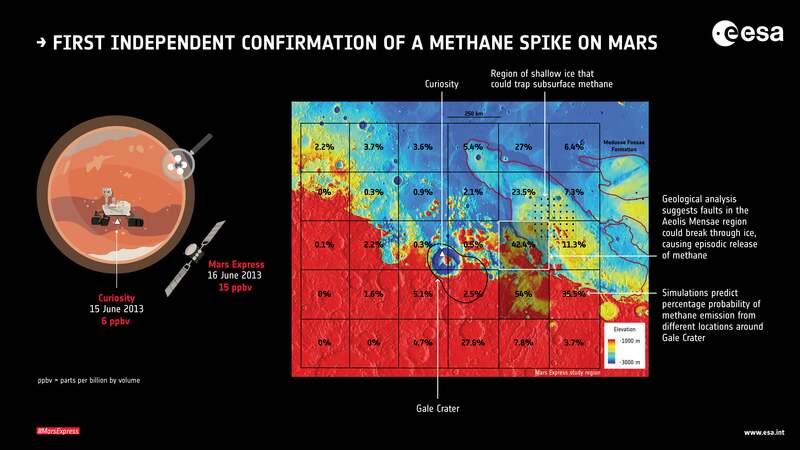 Two independent analyses were used to reach this conclusion, including computer simulations that assessed the probability of methane emissions from the Martian surface, and the identification of geological features within Gale Crater consistent with the associated methane spike. 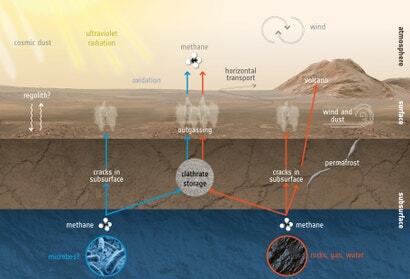 The researchers theorise that the methane detected on Mars is being caused by small, transitory geological events, rather than a process in which the gas is constantly being replenished in the Martian atmosphere. 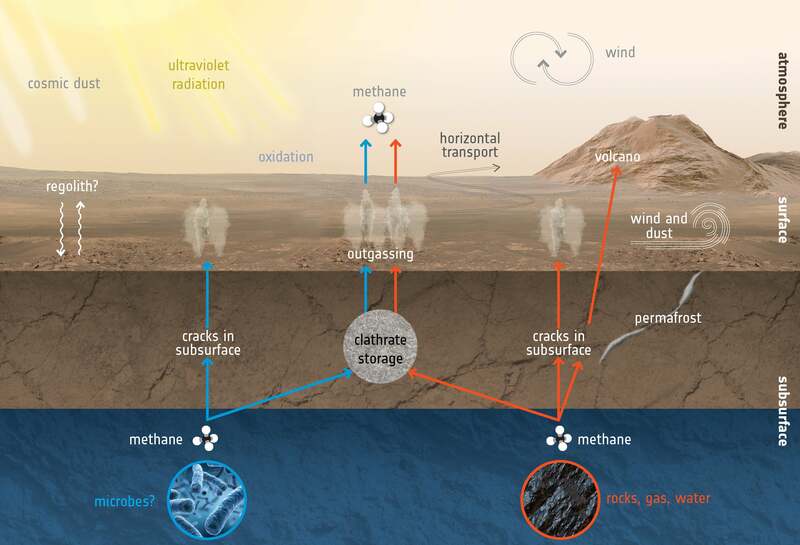 There’s still much to learn about this process, however, such as how the gas is being removed from the atmosphere, and the nature of the Aeolis Mensae site.